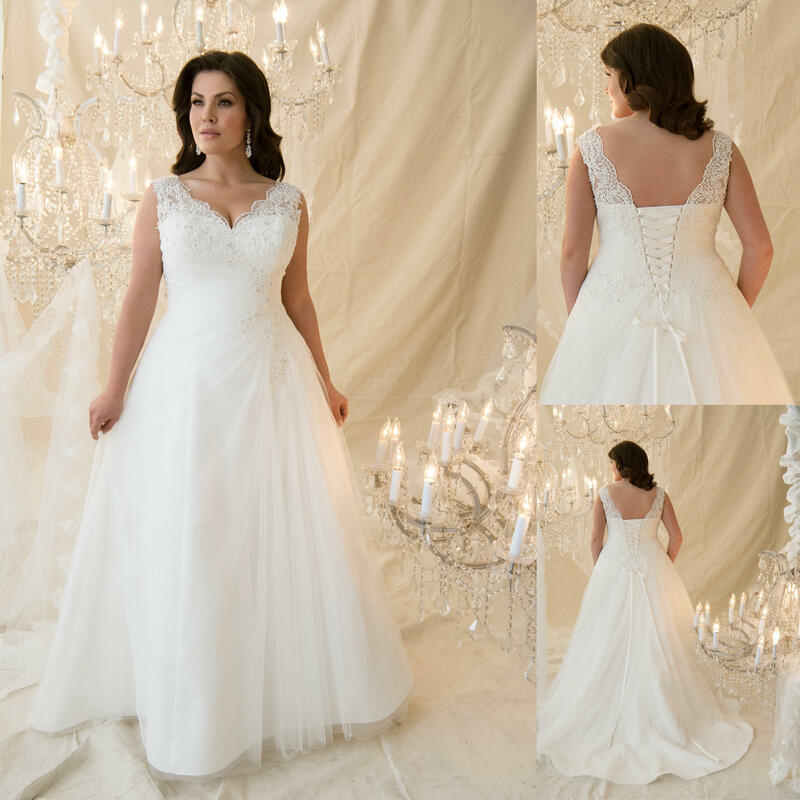 This Beautiful Lace Gown has a flattering Aline shape and dainty Lace edge on the strapless neck line. 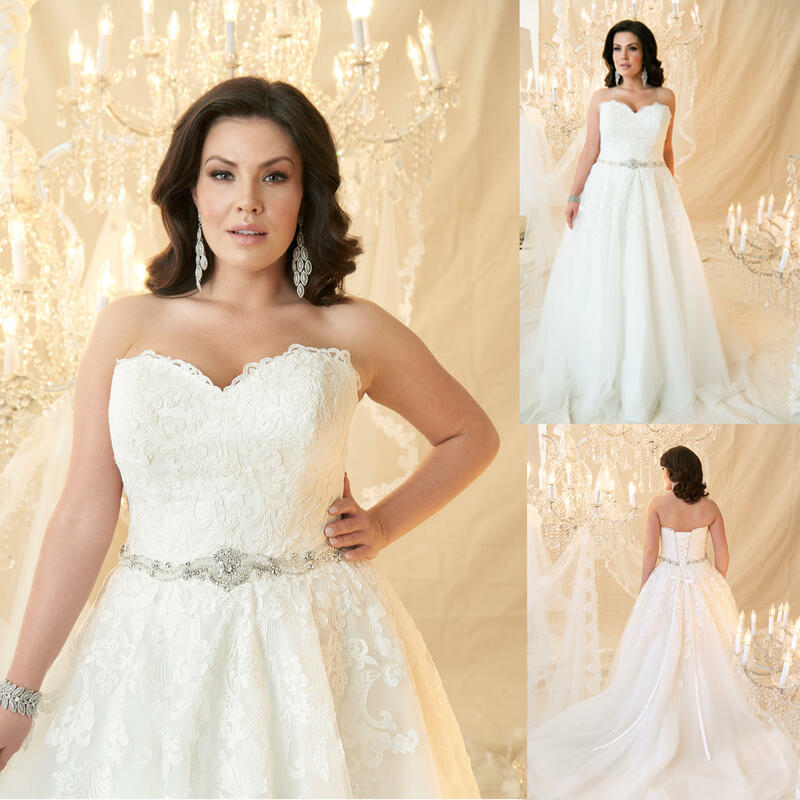 The Sweetheart Neckline is so flattering for a fuller bust. 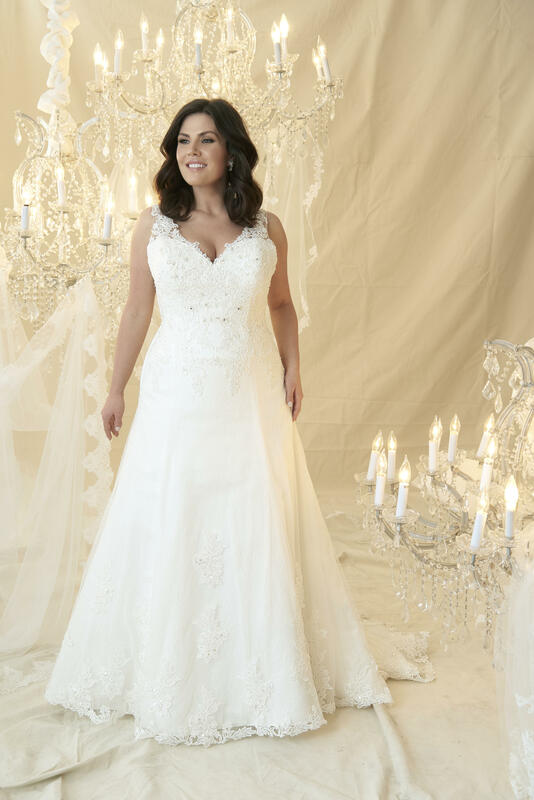 Internal Structure and attention to building a fabulously supportive corset makes this the perfect choice for a plus size bride.